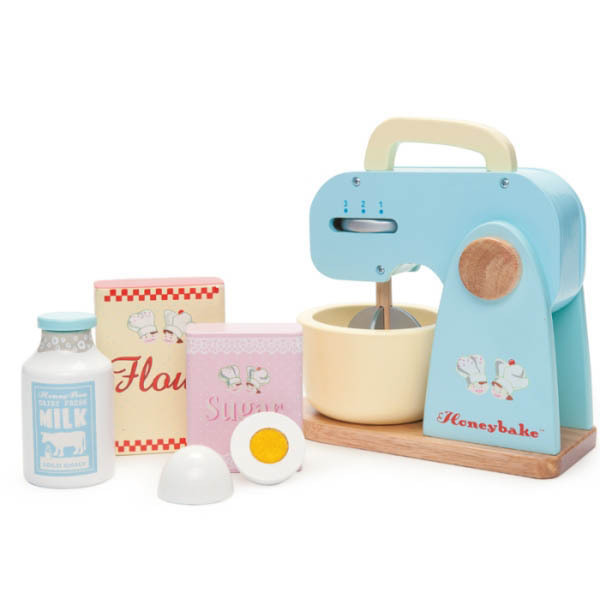 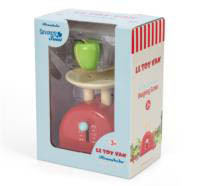 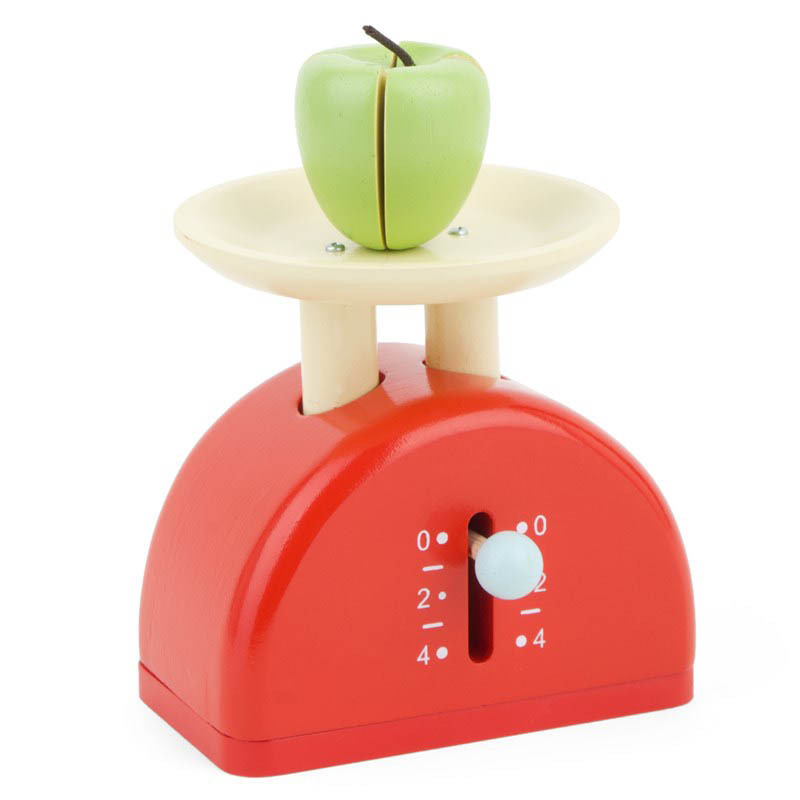 This gorgeous Honeybake Weighing Scales from Le Toy Van is a great addition to any pretend play. 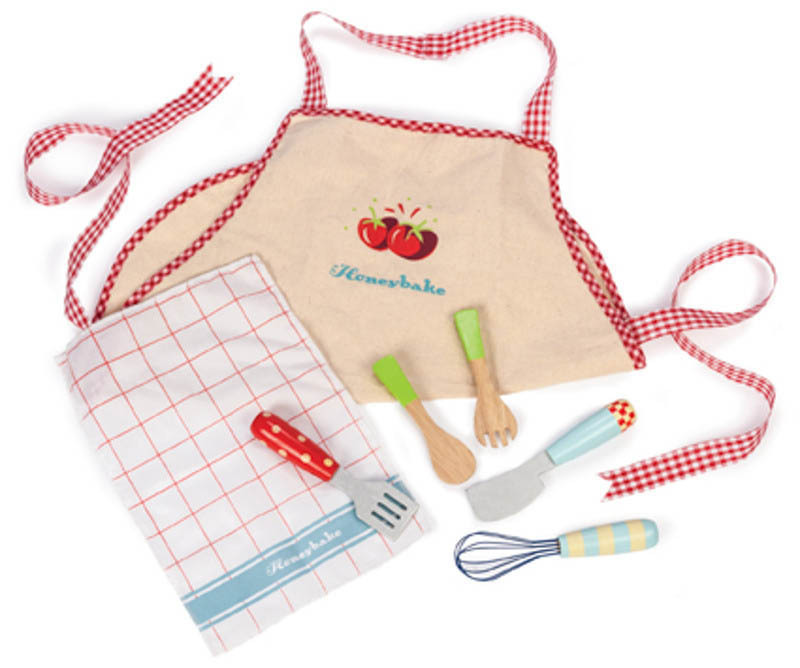 Brightly painted to match the Honeybake range, the Weighing Scales comes with an apple with velcro that can be quartered. 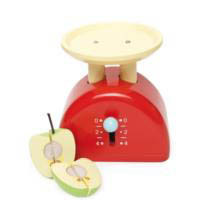 The Weighing Scales also has a moving gauge to weigh up all your sweet and savoury treats. 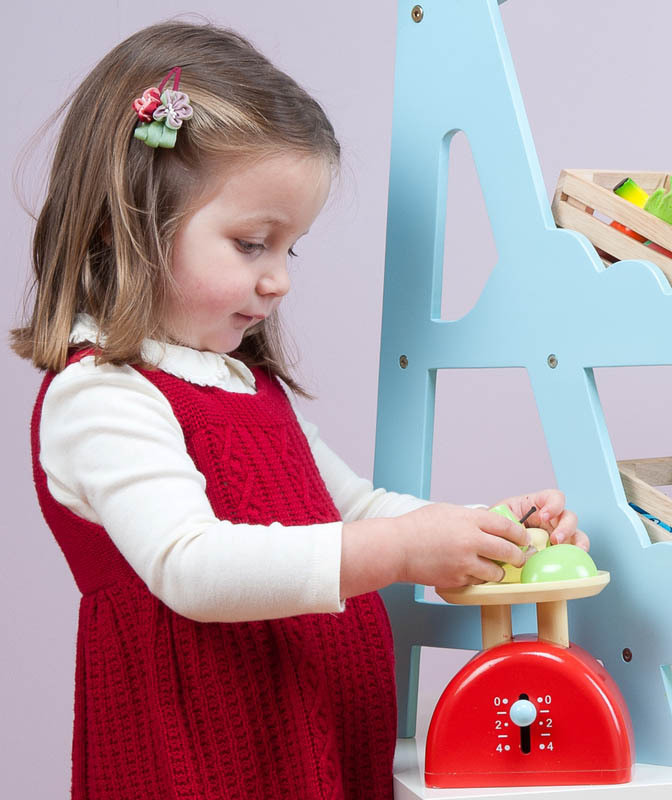 Scaled for the separately sold Honeybee Market play set.